Rugby has certainly has made an impression since the recent Rugby World Cup was staged across the country. It is always important to keep kids interested in sport on a regular basis. Its not always the traditional rugby clubs either! In St Ives Cornwall this month, The St Ives Feast is an ancient tradition that celebrates the anniversary of the consecration of the Parish Church of St Eia in 1434 AD and offers a rare chance to watch the game of Hurling the Silver Ball, a centuries old form of rugby. The feast day falls on February 9 and starts off with the mayor’s civic procession for the blessing at St Ia Well near Porthmeor Beach followed by the start of the boisterous hurling of the silver ball when participants attempt to win the ball off each other around the town. Whoever returns the ball to the mayor on the steps of St Ives Guildhall on the stroke of midday receives a silver coin. In the afternoon, pennies are proffered from the balcony by town councillors to the waiting children on the Guildhall forecourt. 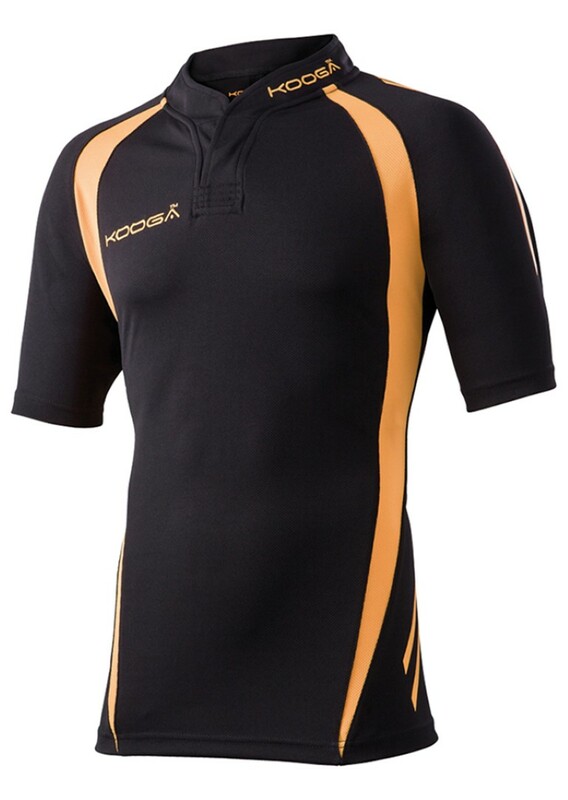 Check out our new catalogue for all printed sports clothing needs including rugby clothing, bags, training wear for print. Delivery is free on all orders over £100. 1. It’s an ideal time to focus on club training. You can work on those areas that need improving so you can be really competitive next year. And the money you save on competing can go towards next year’s team wear. Win, win! 2. Whether you’re an equestrian doing point to point or a spectator you can wrap up in a hoodie, or fleece and warm jacket in the wind and rain and while you may make you question your sanity, returning home to a log fire makes it all worthwhile. 3. If you’re guilty pleasure is matchy-matchy, the addition of the latest customised clothing gives you another opportunity to colour co-ordinate outfits and stand out. And an excuse to shop too. Wearing customised tops is the latest fashion! 4. Cornwall’s never a place where you have to dress up to nines and be at the forefront of the fashion pack but come the winter months things get even more relaxed with lots of blustery walks along the beaches and dog walking among the sand dunes! Get inspired with our huge range of winter clothing or design and personalise your own clothing on-line. Historically, the Penny Farthing was the first machine to be called a bicycle and now the word “penny” is a description of something inexpensive. 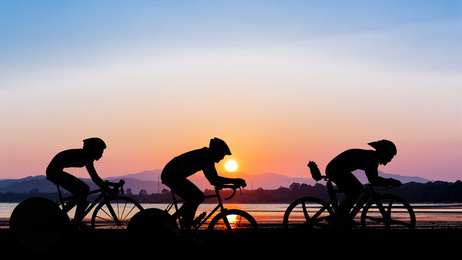 Nowadays cycling is much more of a recreation and part of the global community. We see more Cycle Clubs which has made cycling become much more accessible and enjoyed by millions. Although people are riding for fitness, enjoyment or convenience in places like Cornwall, despite the emergence of cycle paths, cycling has also become much more dangerous too and the need for Hi-Visibility clothing is paramount. Road cycling, in particular, is commanding our attention in Cornwall. With role models like Chris Froome, Tour de France Champion, and Lizzie Armistead, Road Race World Champion, cycling is bringing people together in events such as the Tour de Yorkshire with its stunning scenery, Ride to the Somme, Etape Du Tour or even many are now exploring islands like Madeira on bike tours.According to Sports Insight magazine this month, a recent survey ranked cycling as second only to cricket among the country’s top 10 sports. We recognise cycling clothing is a necessary expense, although it does not need be expensive. We can customise to you with your chosen event and make you proud when wearing them. 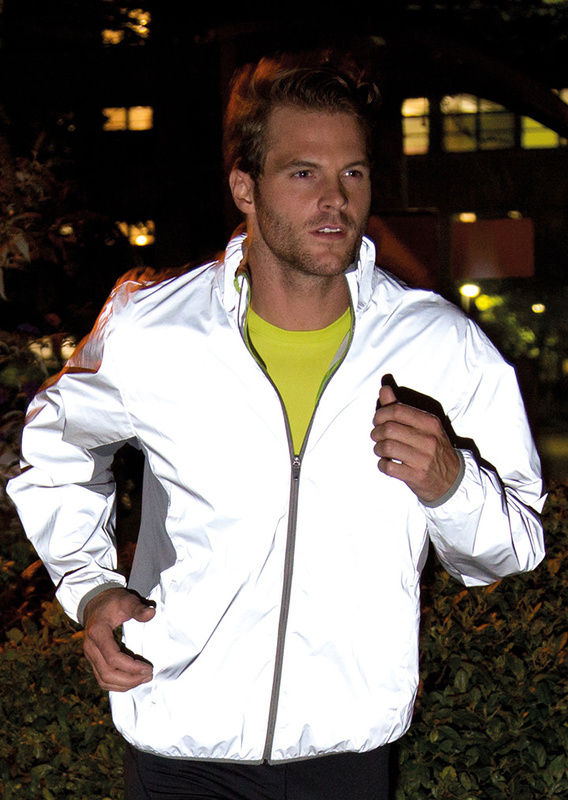 Be seen cycling with this new water-repellent and windproof Reflectex Hi-Vis jacket. 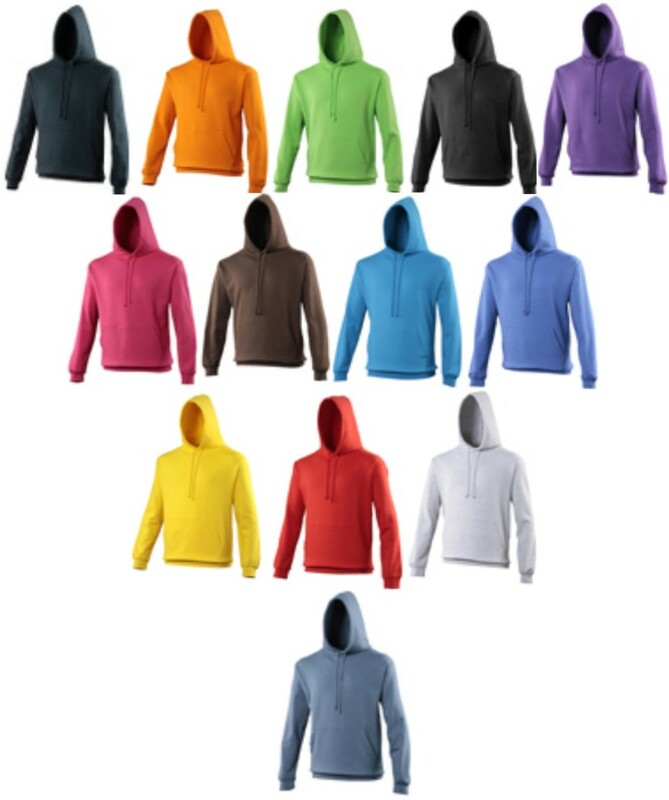 Fully loaded with features, it is extremely lightweight breathable, and offers maximum protection, ideal for exertive outdoor activities when the weather is less favourable. Constructed from a soft athletic quick dry fabric, features include, breathable mesh back panel, reflective bound edges for extra visibility, full front zip with contrast colour binding, zip closing side and centre back pockets, streamline wind protect longer back panel, foldaway belt bag, bound edge cuff, stand up collar and inner stormflap. Available in sizes XS-4XL. To be healthy in modern society, you must adapt to the behaviours of an astronaut. As Tim Peake gets to work, this month we are in the continuous pursuit of fitness clothing to customise. Not only do you need more protection against sweat, you can also make a great fashion statement. It needs to fit well enough and not be too loose as if adding two extra layers on your body, but also not to tight in which you feel absolutely suffocated. 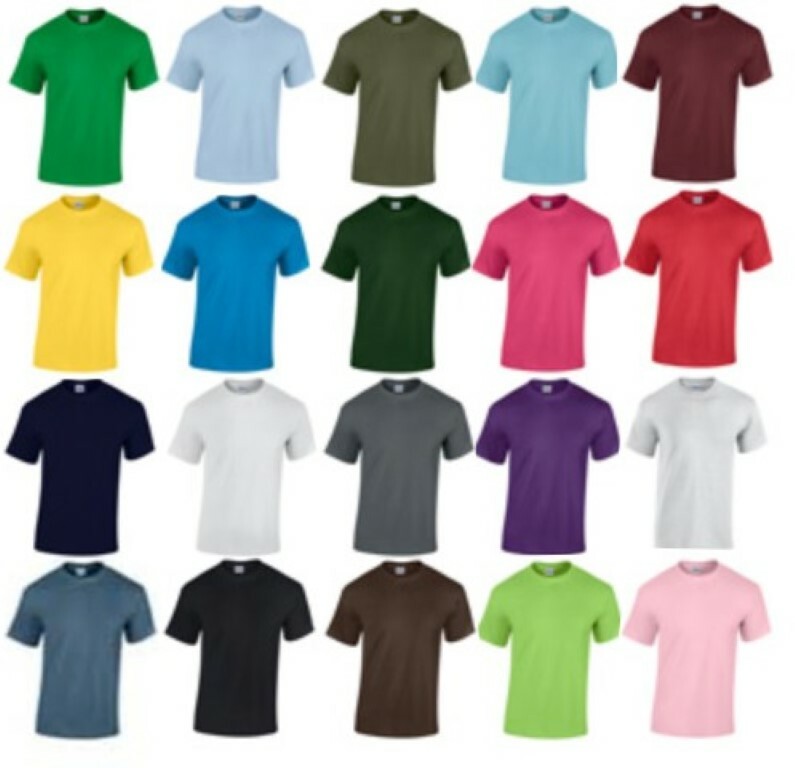 Performance tees were introduced a couple of years ago and have proved incredibly popular with more and more vibrant colours added. Cool Wear technology ensures the wearer says cool, dry and comfortable. Now, there is a new affordable range out for 2016. Go above and beyond in TriDri. Dri-Fast, Move Fast and Cool Fast in the breathable, lightweight and comfortable fitness range for men and women. The Women’s panelled TriDri® fitness vest is a favourite of ours. According to the latest reports released by Sport England, an increase in the number of women playing sport has driven the uplift in participation figures nationally as of September 2015. What a busy year so far!! New machinery, lots of printing, welcoming back existing customers and meeting many new customers. Also congratulations to Dan for finishing his 2 year apprenticeship! So it’s time for our 2 week annual shut down…. Steve and Fi are having a well earned rest. The factory is closed for 2 weeks from the 15th October 2015 until 31st October 2015. Sorry for any inconvenience. Jan Welton, leading our sales team would be happy to help during this period with any enquiries so we are all ready to go when we get back in the run up to Christmas! 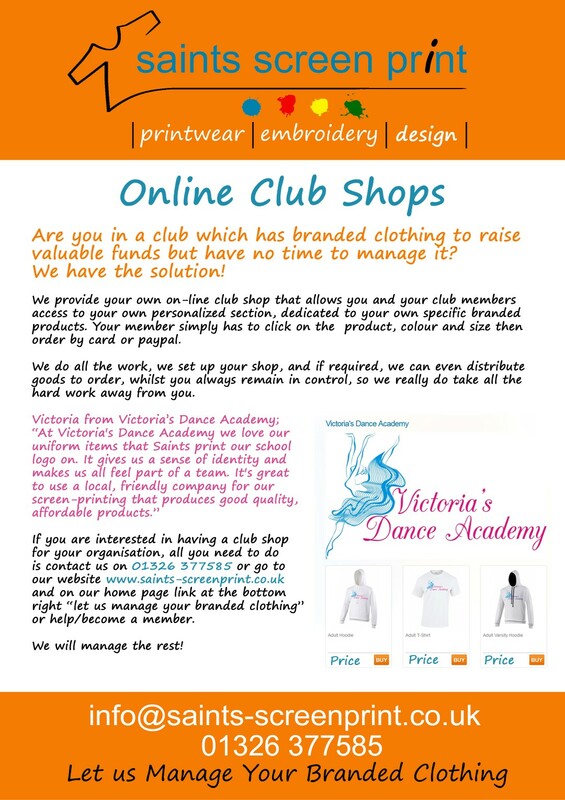 Are you in a club which sells branded clothing to your members but you have no time to manage it or keep stock? Start the new year with an online club shop to help raise money for your club. Our online e-commerce shops are dedicated to your club in order to take all the hard work away from you. If you’re interested in having a club shop, call us for more information on 01326 377585. We know and care! Talk to us on 01326 377585. So what’s hot at the moment! 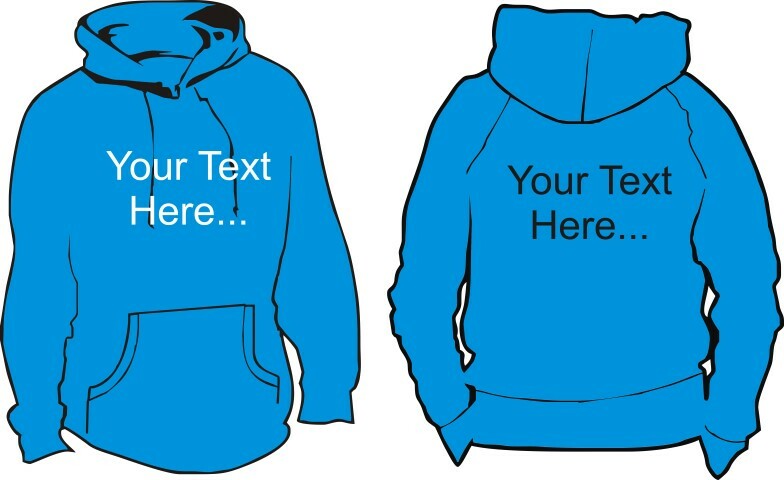 Not only do we personalise your hoodies, we pride ourselves on a communication personalisation to meet your needs. Embroidery is the embellishment of fabric or garments with a decorative design made up from a series of stitches. Our embroidery work is done using computerized machines. Vinyl printing is our newest method we introduced in 2009 to accommodate small print orders. Polyurethane (pu) vinyl is cut to produce a design and then heat applied to the garments. Vinyl printing is a method of printing that is generally limited to a 1 colour print. The artwork is required in a vector format which is produced in a software package i.e. Adobe Illustrator or Corel Draw, this artwork format produces the design in lines as opposed to pixels as in a jpeg image. The artwork is sent in mirror image to the vinyl cutter, which is very much like a large printer, however instead of using ink it uses a blade. Once the image has been etched into the vinyl, the vinyl can then be removed from the cutter. The excess vinyl surrounding the image can be weeded (removed) from the backing sheet, once this has removed you will be left with your design. The design is now ready to be applied to the garment using a heat press. Screen printing (also known as silk screening) is one of the oldest methods of printmaking. Our machine is an 8 head screen printing machine. The process involves creating an image on a screen of porous mesh, traditionally made of silk. A roller or squeegee is used to pull paint-like ink over the stencil, forcing it through the mesh onto the paper being printed. Unlike the inks used in some other forms of printing, screen printing ink sits right on the surface of paper, resulting in incredibly rich, vibrant color. Plastisol Transfers are basically screen printed designs that are printed. 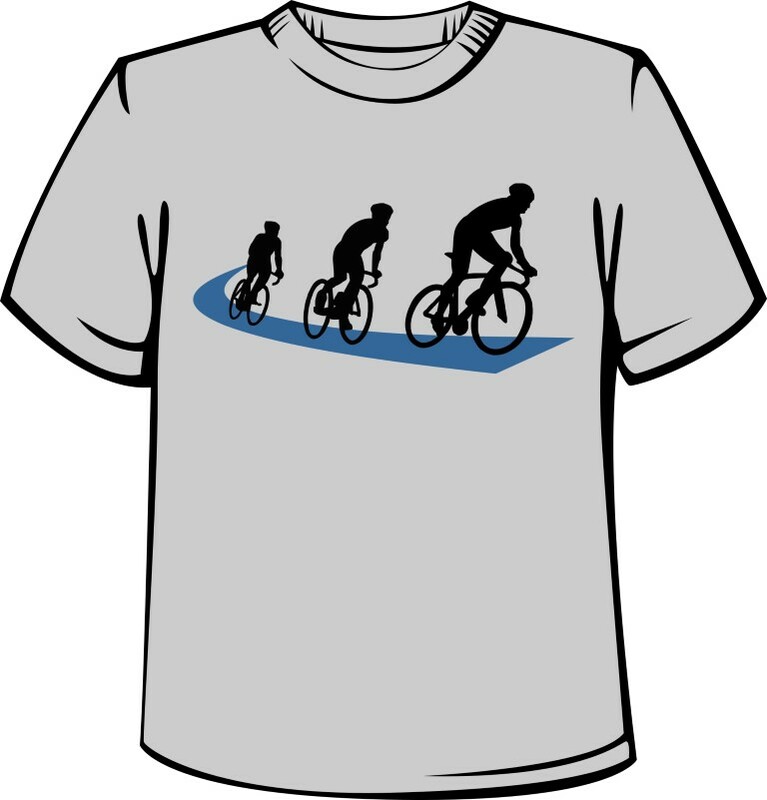 1) We have designed an on-line club shop to make it easier for you and your club members. 2) As well as our on-line range, we are able to supply all the major brands of sportswear – just call our dedicated team on 01326 377585. Your own on-line club shop provides you and your club members access to your own personalized section, dedicated to your own specific branded products. The basic package is free of charge and will allow your members to buy directly from our site. We will manage the rest! It’s the start of April! Spring is in the air and we have spring fever! Freshen up your clothing with a touch of spring cleaning as the clocks move forward. Whether it’s a party, an event or getting your employees involved in the energy and enthusiasm of spring, we have over 40 colours to choose from. 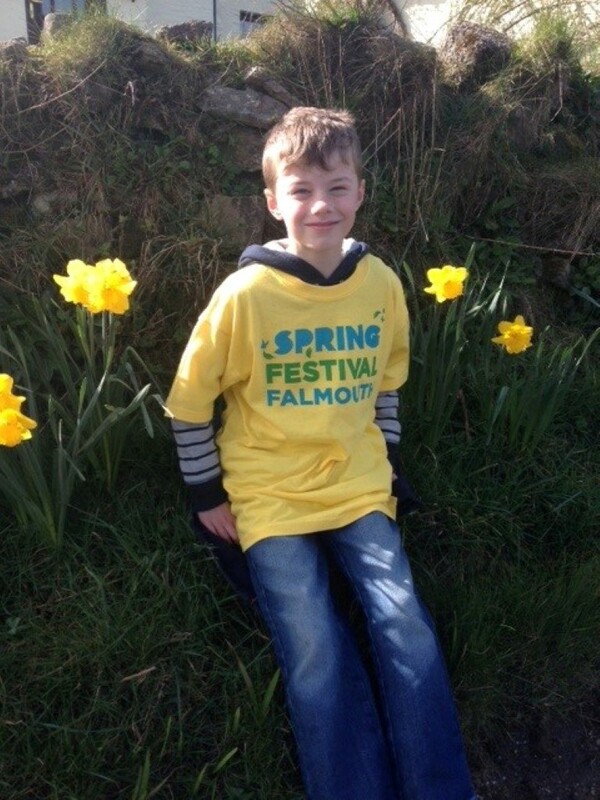 Saints have joined in the celebrations with a local event, the Falmouth Spring Festival, a yellow kids t-shirt for local school children to paint our town yellow! What a great idea. Let’s put the storms behind us and hopefully the need for extreme weather clothing. 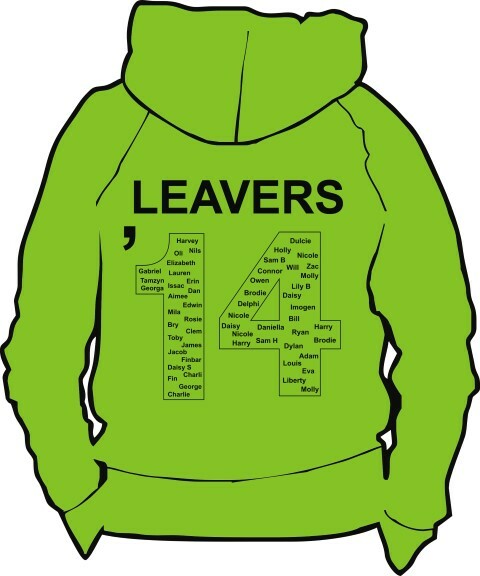 Now we are focussing on fresh, bright and affordable customised printed t-shirts and hoodies, whatever your size! We keep the quality and standard of our clothing print wear very high. We collaborate creatively and are true to your brand. Call us on 01326 377585 or email info@saints-screenprint.co.uk if you would like to talk to us direct. Marketing budgets are being squeezed, particularly for small businesses, so the only way to get your brand out there is by setting up strategic partnerships with companies big and small. We are proud to have collaborated with the clothing lifestyle brand, Fat Willy’s Surf Shack, who have survived 30 years, 3 generations and 3 recessions. Fat Willy’s Surf Shack, featuring H Dance Fitness, has produced an amazing Dance Video on the beach in St Ives, Cornwall. The music has been produced by Gareth Young who has worked with the Pussycat Dolls and All Saints. This has increased brand awareness, AND connected with a similar audience while having fun watching 19 local ladies and one gent zumba! We are exploring how we can work together with more companies in the future with a view to setting up a longer-term arrangement. We have a new club shop where fitness clubs sell their own branded products and the best bit about it, is that we manage the whole process for free! The good thing about two small companies working together is that there is always a flexible and fluid relationship. 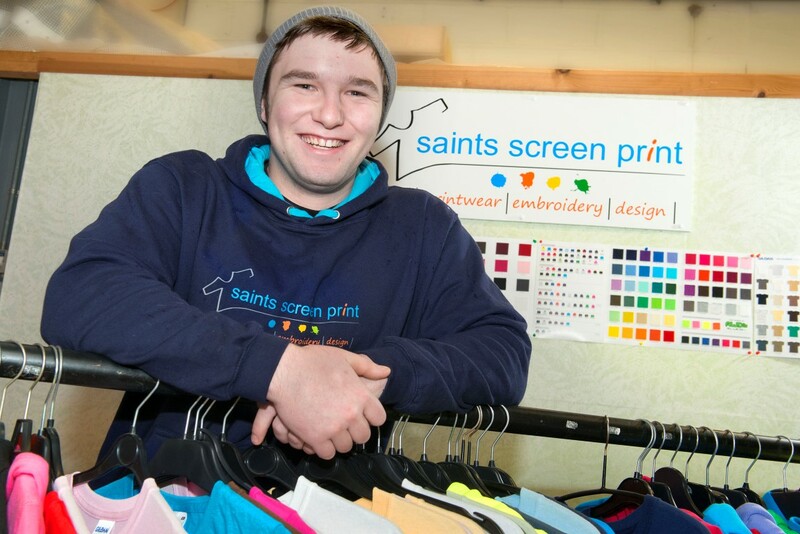 For customised fitness wear, visit www.saints-screenprint.co.uk/fitness-wear or you can find out more about our on-line club shop or shop on-line at www.saints-screenprint.co.uk . Please call 01326 377585 to talk to us direct. Dan Davis is the South West Number 1 in the Age 17-29 male category for BMX Racing and is combining his passion for BMX competing with his passion for design and print. We are running an apprenticeship in printing graphics and communications from Yeovil College for work based learning. Dan is 6 months into his Level 2 NVQ learning programme and really pushing forward with the work and doing a great job here at Saints. Dan says "I believe this is the ideal job and the great team here is helping me to realise what I want to do in the future. I am in the right place at the right time!" There is no doubt that the National Apprenticeship Scheme is vital in our ability to meet our current and future skill needs and is a vital part of developing our talent. Activities at the moment include health and safety monitoring, hazards in the workplace, manual handling regulations, the limits of noise and how it can create ill health and protective levels in PPE which are needed to help reduce RSI.